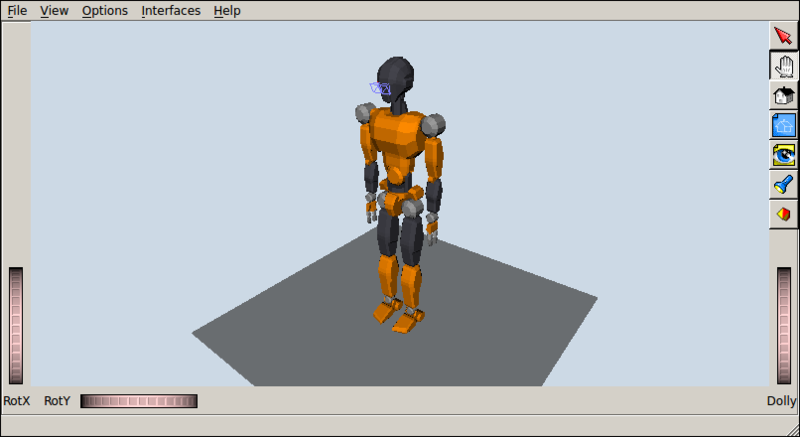 OpenRAVE robot models can be written in OpenRAVE Custom XML Format, if you write them from scratch, but are most of the time written in the COLLADA 1.5 Robot Extensions. This format is not so widely used and converting to it can be tricky. 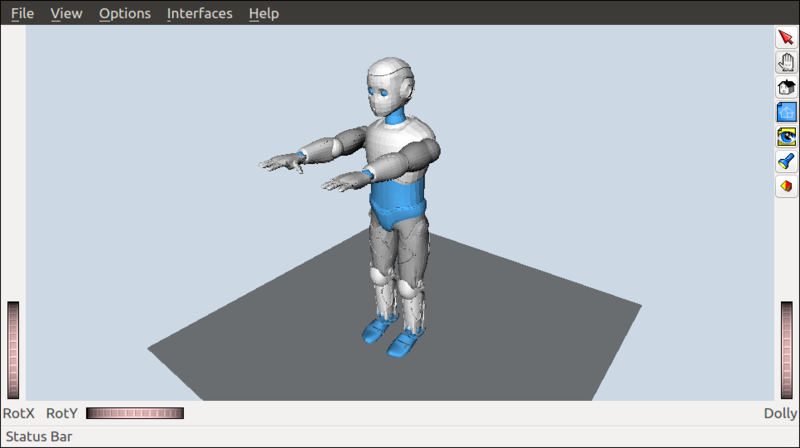 In this post, we will review the conversion paths I've found to generate the humanoid robot models in the openrave_models repository. Textures are not converted in this process. To palliate this, you can open the COLLADA file in a text editor (COLLADA is still XML so it can be read and edited by human beings) and change link colors by hand. You can check out JVRC-1.dae to see how this is done. More recently, the authors of OpenHRP have also developed simtrans which is a more general set of conversion scripts. Textures are not converted in this process. To palliate this, you can open the COLLADA file in a text editor (COLLADA is still XML so it can be read and edited by human beings) and change link colors by hand. You can check out Romeo.dae to see how this is done.